Avancer, as an integrator of identity and access management technology, has collaborated with various technology providers. It brings our clientele closer to a well-knit system of solution and services providers. Firmly believing in the fact that ‘identity is power’, Avancer has connected with SailPoint in its venture of spearheading enhanced identity governance. We believe that by employing our collective identity IQ, we can enable our clients to manage digital identities efficiently, securely and confidently. Backed by a strong identity team, market innovation and outstanding industry recognition, Avancer wishes to establish a unique and powerful identity governance platform in collaboration with SailPoint. Sharing the common vision to ‘be a part of the password-free future’, Secret Double Octopus has recently joined hands with Avancer as a trusted technology partner. Secret Double Octopus is committed to spearheading endeavors in making the world of identities safer and establishing strong security as a profound business asset. To bring to the customers – great product, timely delivery, and dependable customer service, Avancer look forward to an opportunity to work closely with Secret Double Octopus and ensure success for our clients. With a market focus to provide large healthcare organizations with an integrated suite of healthcare software, EPIC has partnered with Avancer to facilitate integration of Security Services Personnel Management and identity life cycle. EPIC’s applications support functions related to patient care, clinical systems for providers, systems for lab technologists, pharmacists and radiologists and billing systems for insurers. Avancer’s support to EPIC enable CRUD operations on identity along with setting items like multiple linkable templates, employee demographics and category report groupers during user creation. SSH Communications Security (NASDAQ OMX) is a leading provider of enterprise cybersecurity solutions that monitor, control and automate trusted access to critical data. The company’s long track record of innovation includes Secure Shell (SSH) – one of the world’s most widely used network security protocols. Demanding customers worldwide trust our flagship Universal SSH Key Manager® and other solutions to manage access, enhance security, and achieve compliance. Avancer is SSH Communications Security’s Certified Partner to help integrating Identity Management strategies with SSH network security protocol. Avancer has been deploying the Oracle Identity and Access Management Suite of products for the last few years. Oracle and Avancer’s clients recognise Avancer as a leader in deploying these products and solving customer’s business challenges. Oracle provides the world’s most complete, open and integrated business software and hardware systems, with more than 370,000 customers. Oracle’s product strategy provides flexibility and choice to our customers across their IT infrastructure. 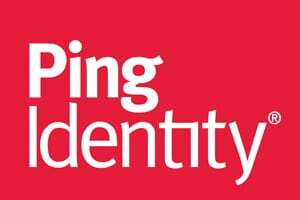 Ping Identity in the leader in internet Identity Security, delivering internet Single-Sign-On (SSO), Identity Enabled Web Services and Internet Access Account Management. Over 500 enterprises, SaaS Vendors and online service providers worldwide rely on Ping identity to streamline application access, reduce administrative cost, generating additional revenue and improve security. Avancer associated with CA Technologies to enable development of value-added integrations for our products. Through the Technology Partner Program, we have tiered program by adopting defined stages of progression to provide the tools, support resources and processes to help third-party companies deliver integrations between their products and CA Technologies. 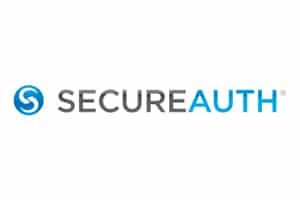 Avancer has partnered with SecureAuth Corporation for helping clients create a borderless enterprise. SecureAuth IdP specialises in enforcing 2-Factor Access Control in a single, cost-effective solution. Fueled by the cloud and mobile phenomenon and the security requirements these disruptive computing platforms require, SecureAuth has experienced an accelerated rate of growth. With coming together of Cerner and Avancer, we’re integrate intelligent solutions for the health care services industry. Cerner brings technologies that connect people and systems at more than 18,000 facilities worldwide, and it has wide range of services support the clinical, financial and operational needs of organizations of every size. As a technology provider Cerner’s mission is to remains contribute to improvement of health care delivery and the health of communities. 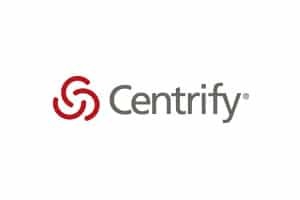 Avancer’s collaboration with Centrify has been designed specifically for Privilege Account Management – A complete solution to protect, monitor, detect, alert, and respond to privileged accounts. Centrify’s solutions are aimed towards strengthening enterprise security by managing and securing user identities from cyber threats. With a platform of integrated software and cloud-based services, Centrify uniquely secures and unifies identity for both privileged and end users across today’s hybrid IT world of cloud, mobile and data center. Avancer has associated with OKTA as a reseller. Okta is an integrated identity management and mobility management service that provides deeply integrated experience across directory services, single sign-on, strong authentication, provisioning, mobility management and reporting. 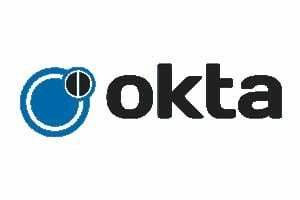 Served on a cloud based secure, reliable, scalable platform; OKTA’s services integrate with on premises applications, directories, and identity management systems. Saviynt delivers a reliable, cloud-based Access Governance solution by partnering with industry’s leading infrastructure, applications and framework technology providers. 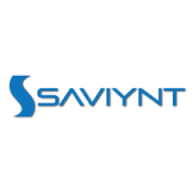 Saviynt is an innovative leader in providing application, data and infrastructure access governance and intelligence platform for Cloud and Enterprise. Saviynt delivers IGA 2.0 by integrating advanced usage & risk analytics with fine-grained privilege management. Saviynt secures critical assets such as SAP, Oracle EBS, Office 365, Google Apps, AWS, Azure, Salesforce.com, and Workday. Avancer has partnered with ForgeRock for its digital identity management product, the ForgeRock Identity Platform. The ForgeRock Identity Platform includes Access Management (based on the OpenAM open source project), Identity Management (based on the OpenIDM open source project), Directory Services (based on the OpenDJopen source project), and Identity Gateway (based on the OpenIG open source project). eTrust Security is a global Cybersecurity player since 1999, serving clients in 10 countries and protecting $80 billion in annual revenue. The range of services in IT Security offered by eTrust Security includes Identity Access Management & Governance – On Premise & SaaS, Identity & Governance – BPO, Managed Security Services and Security Intelligence Risk Analysis. The strategic insights brought together by our partners and Avancer’s experts, have been instrumental in channelizing adoption of enterprise-transforming business applications. If you have expertise in any aspect of IT Security or Big Data, let us collaborate.